Chris Daughters recently received this enquiry in an email. As I was reading a posting from Jay and his use of the term slack tide, I realized I just did not know what that meant. If it possible, could a posting to the blog explain all the various terms related to tides. Most of us can find the times of high tide and low tide and we know that it changes every six hours, thereby occurring twice in each 24 hour period. But I can think of slack and ebb as two terms that are meaningless to me and I am sure there are others as well. The ultimate idea being how it all relates to fishing. 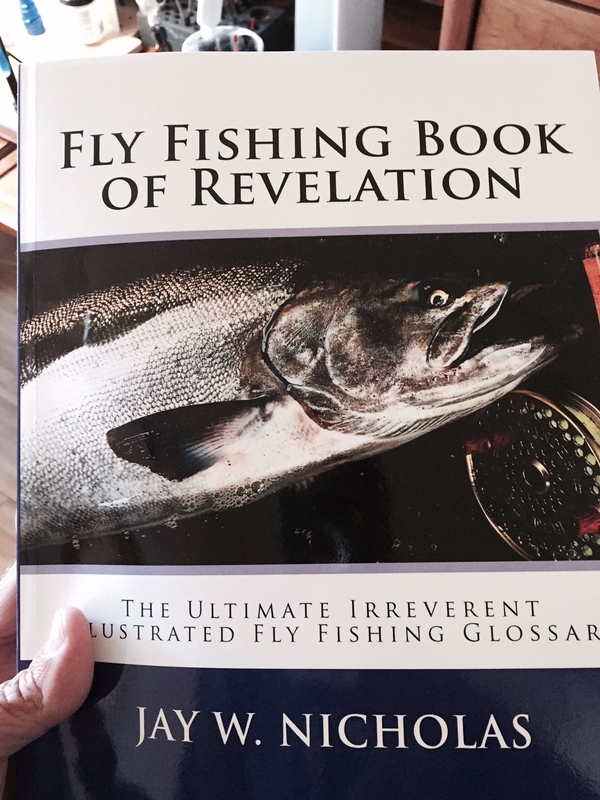 Jay Nicholas Fly Fishing Glossary – Book of Revelation. To my great disappointment, I did NOT find requested term in the Glossary. I found the following terms related to tides but NOT the one I was seeking. So, here is a series of new definitions that will eventually be entered into a SECOND EDITION of the Ultimate Fly Fly Fishing Glossary (don’t hold your breath folks, because I have three other books to publish first). Anyway, here is what I can offer at present. 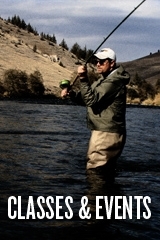 Meanwile i encourage you to check out the ultimate fly fishing Glossary that you can find enlightenment and laughter and amazement at your bedside as you drift off to sleep or in the cubicle when you don’t feel like doing that job the stinky boss handed you. I hope you have fun with these new definitions and that your days are filled with fishy thoughts and day-dreams. This is a term that is widely applicable to various aspects of fly fishing and fly tying, defined as a virtual absence of tension. One may find one’s fly line without tension. One may deliberately or accidentally release tension on one’s fly tying thread. Fly anglers and fly tyers are rarely “slack-minded” or “slackers” owing to the fat that their busy little minds are almost always plotting to do something related to their hobby. Rarely if ever will one find a fly angler or fly tyer who is a slacker, essentially a lost soul bereft of purpose and motivation. 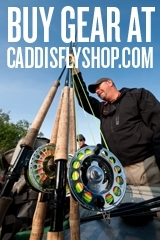 This is so because the general population of fly fishers/tyers is comprised of individuals who are diagnosable as Obsessive Compulsive over-achievers who are never satisfied unless they are busy tying more flies, lining up their flies in neat rows in boxes, starching and ironing their Simms waders, and so forth, in addition to making sure all of their fly lines and leaders are pre-rigged and properly labeled. This term relates to the situation when a fish quite deliberately (or perhaps accidentally) runs back toward the position occupied by said angler and thereby removes all tension from the fly line and thusly creates a condition in the line where it is slack: neither pulling or pushing, moving in or out, and so forth. This term describes the state one finds him or herself in when a fish of great or small proportion has doubled-back towards the angler in question, forming slack in the line. This is generally a condition to be avoided if possible, because when one is slack-lined it is easier for a hook (especially a barbless hook) to fall free from the mouth of the fish in question, leaving our angler in a state of anguish. This term is useful in describing the appearance of fly fishers who have just been confronted with awkward or challenging circumstances. One example would be when said angler finds that his or her sixty pound Chinook of the morning was the smallest fish recorded at the dock back at the lodge. 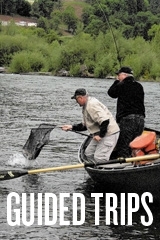 Another example would be when a male angler thinks rather highly of his casting ability, and shortly thereafter observes a twenty something female fly fisher casting far more proficiently as she proceeds to follow the afore mentioned male angler through a steelhead run, thereby hooking and releasing seven large chrome steelhead on skated Muddlers. Slack jawed is also a likely condition when a fly angler/tyer stands that the check out counter at the Fly Shop and sees the total for a rod, reel, line, backing, leader, flies, tippet spools, nippers, floatant, sinkant, fly boxes, waders, boots, socks, under-wader undies, vest, wading staff, ball cap, prescription polarized glasses, boat bag, wading belt, and fishing pliers. This poor soul’s jaw is likely to fall, slack and tensionless, as they reach for the credit card. This is the brief period when the tide is neither flowing in or out: essentially, it is without flow, without tension, and without movement up or down. This period lasts perhaps 53 seconds, and the bite period for salmon coincides with slack tide, the bite may only last the same amount of time, which is very little, and the possibility of hooking a fish when the bite is on at slack tide will depend on whether the angler actually has a fly within three feet of a salmon when the tide goes slack for the magic 53 seconds. Fortunately, the slack tide seems to last a little longer during which time the water on top is flowing out and on the bottom it is flowing in, or vice versa, at the time of apparent Slack Tide. Salmon do often bite better at slack tide than they will when the tide is running in or out so high slack and low slack are periods when one should plan to be on the estuary with a fly in the water if it at all possible. One might beg an angling companion to “Cut me some slack” when the angler making the plea has not caught one fish and the angler being asked to cut the slack has caught seventeen. The expression generally is a request to cease harassment of any sort. Clients who have paid top dollar to certain Tarpon Guides ask these guides to “cut them some slack” when the afore mentioned super guides are yelling, screaming, and badgering said clients with remarks about failures to execute casts promptly and accurately, set hooks, not stand on the fly line, and such forth. To deliberately and consciously remove tension from one’s fly line. This may be accomplished by quickly reeling backwards, stripping line off the spool, dropping one’s rod from a high to a low angle, and such forth. One could also simply run into the river, lake or estuary to introduce slack by removing tension from the line, as could one steer one’s boat in a direction to remove tension. This tactic may be desirable to prevent a hundred and sixty pound tarpon from breaking one’s leader tippet (see also “bow”) or to create the perception on the part of a hooked fish that it is no longer attached to one’s fly line because all tension is now removed. Such fish, on occasion, will cease their frantic and powerful leaping and charging to and fro, whereupon the angler may again introduce tension to the line in hopes of subduing the fish that is no longer swimming at mach three.